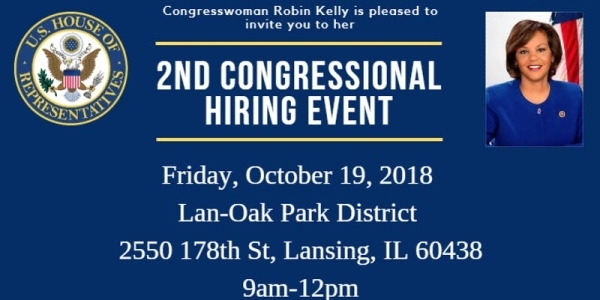 Congresswoman Robin Kelly will host her 6th Annual Hiring Event for residents of the 2nd Congressional District on Friday, October 19, from 9 a.m. to 12 p.m., at the Lan-Oak Park District, 2550 178th St., Lansing (View Map). 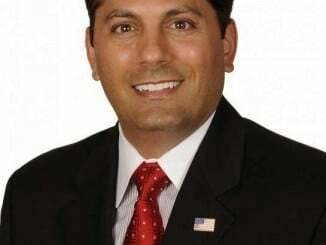 More than 50 employers with active job openings will be in attendance. Job-seekers can register for the Hiring Event and/or the Job Readiness Workshop here. Pre-registration is strongly encouraged. The event is free and open to the public. For more information, call Alan Banks or Elise Miller at 708-679-0078, or email [email protected] or [email protected].